What Happens to Your Small Kids if You Don’t Have a Will? For most parents, the urgency of writing a will is not only to ensure that material possessions are distributed according to their wishes. Obviously, we want our children and loved ones to receive our assets. However, most parents are compelled to write a will to guarantee their children are cared for by someone who is committed to giving the children the loving care they deserve. The alternative is leaving things to chance regarding your children’s future. Not having a will can have a devastating impact on children trying to cope with the loss of their parents. A judge unfamiliar with you, your children or what is important in your lives will make the decision on who should care for your children if you and their other parent dies unexpectedly. What Happens if Guardians are Not Named? If one or more grandparents are still alive, the judge will appoint the person deemed most suitable to care for your children. If one or more grandparents are not alive, the nearest relative is appointed guardian. This may also occur if the grandparents are alive but are either unwilling or unable to become guardians. In some cases, children might have two or more relatives who share similar relationships with the children. The judge will use his discretion in appointing the person or persons best suited to become the guardian. The judge decides who is qualified to care for your children if they are left without relatives to care for them or relatives who are unable or unwilling to accept the responsibility. This person could be unrelated to you and your children. A judge follows these statutory guidelines under the assumption that relatives are the first choice of the deceased parents. While this is often the case, problems may arise for children and their relatives from the judge’s decision. Disagreements regarding who is best able to care for the children may exist between extended family members. This could result in a legal battle over who should have the rights of guardianship. What Happens if Distribution of Material Assets are Not Spelled Out? Further complicating the issue is disputes regarding the distribution of your material assets. Your children may also be deprived without a will that explicitly details how your personal property is distributed. Each state has a legal process to determine what will happen to your property. 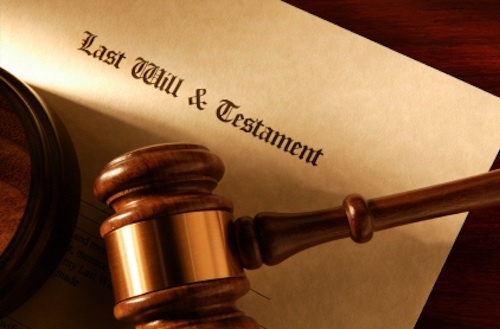 Generally, the surviving spouse inherits everything unless he or she dies at the same time. When this happens, the judge will appoint an administrator to oversee the distribution of the assets you owned at the time of your death. Children are your most valuable assets and you should do what is necessary to secure their future. While you expect to be with your children and watch them blossom into young adults, life is unpredictable. One tragedy can turn your children’s world upside down. Having a will that details what should occur after your death can ensure their lives remain as stable as possible. Author Charlotte Howard wants to take the guess work out of will planning – especially when children are involved. She relies on makdap.com.au estate planning lawyers in order to plan for the future. 31 Responses to What Happens to Your Small Kids if You Don’t Have a Will? A living will is really important too! This is so scary to think about. I really need to get things in order asap! Thanks so much for this information. It’s so important. Thanks for the tips and reminder. I should have one but I don’t. Wills are so important. I haven’t redone mine in a LONG time. I keep telling my husband we need to creative a living will. Part of the reason we keep hesitating is because we cannot agree on who we will leave our kids with. This is a very serious subject thank you for sharing. This post has reminded me that I need to create a will. I have three children, no grandparents (they call my sister their grandma) and most of my siblings are retired and probably wouldn’t be the best choice. Something very important to think about. Thanks for the reminder. I really need to do this. This is scary to think about but I definitely need to get a will in order. We don’t like to talk about death but this is such a timely issue to discuss. It’s definitely not a subject we enjoy discussing but one that needs to be done. The situation your child(ren) may find themselves in if you do pass is be hard anyway, so why make it harder but having a ton of outside people figure things out. Great points – thanks! This is SO important – thanks so much for talking about it! We actually dont have a will or a living will. Scary, I know. I don’t have any children but none the less I need to get a will as I have real estate to divide among spouse and siblings. I considered that very carefully when my kids were minors. In fact, I changed their guardians several times based on various circumstances. Gosh I don’t even want to think of this – but must! Hubs and I were JUST discussing this yesterday. Time for action on our part! This has been weighing heaving on my mind.We really need to do this! My Husband and I got this in order when my son was about 10years old and we will have to recreate a new will when he turns 18 in about a 1 1/2 years. Great Information. This can not be stressed enough. We have our guardians picked out already. This is something i don’t often think about, but good to know and refresh your mind! We have got to get this done.